KONINGSDAG FESTIVAL 27th of APRIL! 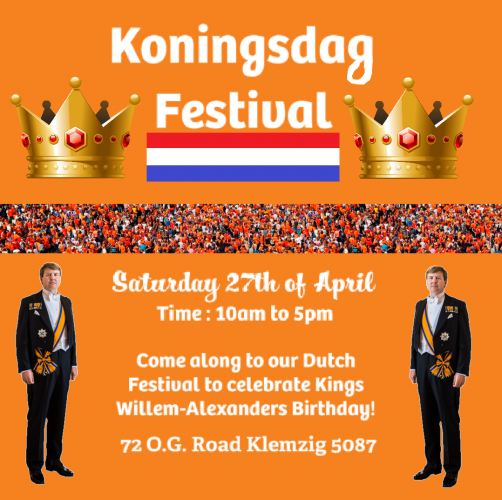 Come along to our Dutch Festival to celebrate King Willem-Alexanders birthday! 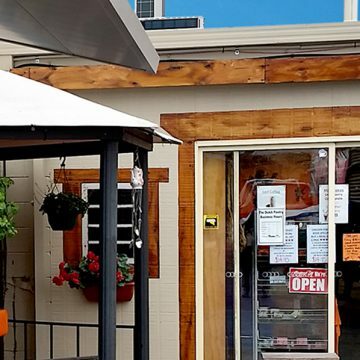 Visit us along with many other dutchies to experience traditional dutch food, dutch merchandise and listen to Dutch music! Lots of food to taste and enjoy including Poffertjes, Boschebollen, Tompoucen, Stroopwafels, Kaassoufle, Nasiballen, Bamischijf, Loempias, Kroketten and Frikandellen!